Krakow Main Train Station (Krakow Glowny) sits in the very heart of Krakow Old Town, just a stone’s throw from the Main Market Square. Its landmark used to be the fawn-coloured, 19th c. building that remembers the Austro-Hungarian Empire (now closed and awaiting a decision regarding its future fate), but nowadays what is more likely to catch the eye of a passer-by is the bulky form of Galeria Krakowska shopping centre. However, the actual train station, with ticket offices, left-luggage, tourist information and all other services is hidden underground, underneath the platforms that lurk in the background between the concrete-and-glass shopping centre and the historic station building (seen from the Market Square). Also, adjacent to the Krakow Glowny station is the regional coach station (Regionalny Dworzec Autobusowy, RDA) – read more about the RDA here. On foot (from the Market Square) – If you can find the Florianska Gate, and the Barbican, you’re all set! Just head right through the Planty park, and you’ll see an underground pedestrian passage. On the other side of it is pl. Jana Nowaka Jeziorańskiego, with Galeria Krakowska and platforms right next to it. If you need tickets, you can pass through the shopping mall and then take a passage to the station facility, or simply leave the shopping centre on your left and access the underground station directly via a sloping pedestrian walkway. By tram – Trams pass by Galeria Krakowska and the train station from the west (bound north- and southward, stop Galeria Krakowska Zachod), and through it, via an underground route (bound north-, south-, and eastward, stop Galeria Krakowska Tunel). The latter option is quite convenient if you’re travelling with heavy luggage, as it offers an escalator or lift through the station facilities from and to the very platforms. You can check the current tram timetable here. By bus – The number of bus lines terminating, or at least stopping at the Main Train Station is quite impressive – after all, all roads lead to Rome, right? One important line is 292, the one coming to and from Krakow Airport. It stops on the eastern side of Galeria Krakowska, right by the eastern entrance to the station, and also by the RDA. You can check the current operating bus lines, and their timetables, here. By taxi – There are taxi stops by the eastern and western entrances to the station, but not by the southern – the one that opens to a square, pl. 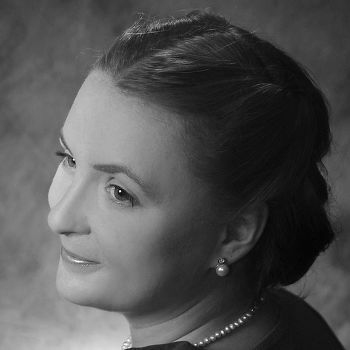 Jana Nowaka Jeziorańskiego. There is also one located on level 1 of the station, above the platforms. And since virtually every tourist city in the world, Krakow being no exception, is pestered by cheating taxi drivers, we recommend calling one of Krakow’s reputable taxi corporations in the Local Life service section. By car – Access by car is most convenient only from the northern and eastern side, as the latter two access routes belong to a restricted vehicle traffic zone, which is hard to navigate even for the locals, with all those ‘no entry’ and ‘turn left/right’ signs. The train station is surrounded by a parking zone, with a scarce number of spaces available, and so the only reasonable parking space (paid) is available atop the station, on level -1 above the platforms. The parking is guarded, and you can leave your car here for a number of days. Now when you’ve reached the station, where do you buy train tickets? They are sold at the ticket windows in the underground space, and in several ticket machines located in various spots in the entire train station (also at the entrance passages from Galeria Krakowska). If you need to talk to a person, nowadays there should be no problem with communicating in English, at least at the basic level. The underground station offers also a wide range of other services including cafes, shops, groceries, lunch bars - all open from 6 am to 10 pm. It also offers three waiting rooms and diaper change rooms. There are self-service left luggage lockers under every platform. In most areas of the building, passengers can use free Wi-Fi. Access for people with disabilities – there are 10 lifts and 15 escalators that enable access to all platforms, and the area is also equipped with floor markings for the blind and visually impaired. And if there is something particular you need to ask, the Customer Service Center is at your service. Safety – As usual in crowded public places, you need to mind your pockets and luggage. Other than that, the station is quite safe. However, if you feel distressed, the municipal guard or the police patrol the place at all times and you can ask them for help. You can check your train departure/arrival timetable here. Currently in Krakow. Do you know how much it is to leave luggage at bus station. Struggling to find the information. Leaving tomorrow. You're a sweetheart, Steve. Feel free to ask anything and i'll do my best to give you a thorough answer, I'm very happy to help you to have the best possible stay :) It's a nice feeling to help people. Hi Phil, Well, it's not very far away and you have several options. You can catch a taxi (should cost around 10-15 zl) for the most straightforward approach. You can walk (should take 15-30 mins). It's definitely within walking distance if you don't have super heavy luggage. But it's too hard to explain the route through text to someone who has never seen the city before. You can pick up a map and ask for instructions from the information point inside the shopping complex (Galeria Krakowska) which the train station is a part of. Or, to catch a tram (19 or 3 - ticket 2.80zl) you need to catch it to the stop called Starowisłna. This is where ul. Starowisłna & ul. Dietla meet. Your hotel is at Dietla 60 - just a short walk down the road from the tramstop. You can catch the 19 from under the train station (follow the signs, ask) or the 3 by walking directly through the mall and out the other side (again, just ask). Probably much easier just to ask people when you get here than before hand. It will be more obvious which street is which, people can show you first hand. People will know what you mean and be helpful. We booked our tickets from Prague to Krakow, and Krakow to Lviv through Polrail Service (polrail.com). Excellent service! Get to bus stop Politechnika (a short walk from the central station, ask around and somebody will point you to the right direction - there is a Tourist Information Point in the underground station you can consult with, provided you arrive during the day). From Politechnika take bus no 501, get off at stop RONDO OFIAR KATYNIA (8th stop) - Crown Piast is a short walk from there. Good luck! We are arriving, by overnight train, from Vienna. Will arrive early morning. We are staying in Apartments Florian-old town. How far is this from the station.? Can we leave our luggage at the station? It will be too early to book in to our accommodation. We will leave Krakow three days later and have booked two tickets on a bus to Berlin. Is the bus station near the station.? Have travelled to Krakow once before beautiful city. We have been invited to a wedding in MSZANA DOLNA Can we get there by train from Krakow? How much is the stowaway for luggage? I arrive at 6 AM by train from Lwow and cannot check into my hotel until 2. I don't want to walk around the city with my baggage. If anyone could tell me that would be great! Thank you! to John Blamey: www.cd.cz or http://rozklad.sitkol.pl/bin/query.exe/en? Hi I am going to Budapest from Krakow and I find a train but I can´t find the fares of these trains Coul anyone help me?? Can anyone help me with details of travelling from Krakow to Ostrava by train and where I can access timetables? Many thanks. Trying to book some disabled assistance on the 18th January-help with luggage etc and shown to seat for which I have a rerservation- but cannot find e mail address HELP! Bus from Nysa/Opole/Wroclaw to Gdynia ? Someone who knows ? Is there any shower facility in Krakow Glowny station? can somebody please tell me how to get from Krakow to Ostrava by train or bus and is there any way to book a ticket in advance? can somebody please tell me how to get from Lviv to Krakow by train or bus and is there any way to book a ticket in advance? Hi, We're looking to travel from Prague on the 13th of July overnight to Auschwitz or Krakow and arrive in the morning of the 14th of July. Could you please advise on rough pricing and carriage configurations etc. Thanks. Looking for suggestions. Traveling in Sept 2011. Would like to depart Krakow on 9/15 or 9/16 to Hoczew. Return to Krakow airport by 12 p.m. on Monday 9/19. If you want to go from krakow to krosno the best way to do it is to go by bus and not by train. Forget the train option cause Krosno is a really small town and train connection is really bad. So on Krakows' main bus station (next to the train station) you can catch a bus of PKS (Public transprotation) or a Barbara minibus which will take you there much faster at the same almost cost(20-30 PLN - 5-7 EUR). With PKS you are going to spend 4-5 hours travelling while with BARBARA 2-3 h .
How to get to Krosno from Krakow? I must to get to Krosno before 07:00 AM, in that time i Have bus from Krosno to Belgrade. Thanks! Dear Joan, the place you mention seems to be a really small village some 130 km from Krakow (it's not even on Google Maps; but I found it here: http://www.maplandia.com/poland/podkarpackie/mielec/schabowiec/). You would probably need to catch a train from Krakow to Dębica or Tarnobrzeg or Tarnów (especially the last of these should be relatively easy to get to), which are all relatively close from Schabowiec, and then get a taxi from there. You can check the train connection (but, unfortunately, not buy tickets) here: http://rozklad-pkp.pl/?q=en/node/143. I'm sure there are buses that go there from Krakow's main bus station too, but you will need to check that when you arrive. Worst comes to worst, you can always get a taxi from Krakow straight to Schabowiec- it will probably be surprisingly cheap (I would think in the region of $100 if you haggle). Hope this helps. Enjoy your visit to Poland! Will be using your services in September. I have a question. We have family in Ruda,Schabowiec, I undersstand it is 110Km from Krakow. Is there any type of public transportation that can get me there? Myself and a friend visited Krakow last September, whilst there we were advised to go by bus from the bus station to visit Auschwitz,( very emotional) which is just beside the train station. The price was really cheap for a return ticket, we did the same going to the salt mines, but went to a different bus depot, just little buses beside the shopping mall, price was really cheap. Going back this September with my sister this time, love my visits to Poland. This will be my fourth time. Would like some advice please, I'm going to Krakow in October with the family and can't find the prices for train fares from Krakow Glowny station to Auschwitz, does anybody know?? Many thanks. We purchased our tickets from Budapest to Krakow and Krakow to Warsaw from Polrail Service (http://polrail.com). There was quick delivery of our order to our home in Canada. They seem to be able to book all trains in Poland, as well as those to adjoining countries. Is there no way to book these pkp train tickets online ? I need to book Budapest to Krakow for Aug. but all these websites just show the time. I called Budapest thinking I could book over the phone but that is also not available. I dont wanna take a chance of not having a ticket beforehand. Ne suggestions ? Hello! I want to go to Ostrava, from Krakow, in end of august. How much would it cost? Thanks for replaying! How much does it cost to get a train from Kracow to Ljubljana in Slovenia and how long does the journey take? How do I get from Krakow to Split? i need to travel from krakow to berlin by end of 4th of April. Which i the best way please apart from airways. Real nice summary page for Dworzec Glowny. We have stayed in Krakow several times over the last couple of years and have taken the train to go to Ukraine, etc.. Any advice on the cheapest fare by train from Krakow ot Vienna? Please could someone tell me how to get from Krakow to Gliwice by train? I would be really grateful for assistance as I cannot fathom it out at all. Would you, please, let me know the train/bus schedule to get from Krakow to Bremen? thank you so much! Hey! what is the cheapest way for traveling from Berlin to Krakow? Hi! can you tell be the best way from Krakow to Spala? sharon, I live here at the moment. All the main places in Krakow are safe at night. Especially the station. The mall will have only just closed and thats right next to it! advice please on the easiest way to get from Krakow Airport to Katowice. Also any advice on Bytom? Where to stay? "What is the best way to go from Wroclaw to Kosice? I am going on Sept. 18 and would love a sleeping car on a train if there is one. If not, I could travel by bus, train "
We wish to visit Auschwitz on Tues,6th Oct 09.Do the trains from the main station in Krakow run every day during the week? What is the best way to go from Wroclaw to Zakopane? I am going on July 5 and would love a sleeping car on a train if there is one. If not, I could travel by bus, train or air. We are coming to Krakow Airport and shall further on to Ostrawa. Shall we go by bus or train or are there some other alternatives. How to get from Gdansk to Krakow with a bicycle the easiest (and cheapest) way? I would like to know how to get from Krakow airport to Petrus hotel, the easiest way? Thank you for your help. How can I use public transport to go from Krakow to Auschwitz? Whitch bus or tram can I take to go from the Central bus station to the hotel Sympozjum? Thank´s for your help. We have to get from Cracow to Lublin, and return the next day in May/09..Is the train the fastest, or would we take bus? Hi. I have problems with open spaces. Agorafobi. If I come to the main station by train, is there a way to leave the station by tunnels or the like, so you don'y have to walk over large open areas ? Could you tell me, the best way to get to Raciborz from Krakow? Thank you in advance. this is great good deal!!!!!!!!!!!!!!! I'd love to see a mus/tram map of Krakow. Which buses do I take to get from the airport to Kapelanka? Thanks. There is no train "station" at the Krakow airport. The free shuttle bus from the airport drops you at a train stop by the train tracks about 300 meters from the airport. The fare was 6 zl on 4 October 2008. Pay the conductor after you board. You'll need zlotys but not the exact fare. The conductor will make change. "Please provide (express, if possible) BUS schedule Warsaw > Krakow = teusdays. Krakow > bialystok suterdays. Bialystok > warsaw = suterdays. Thank you." What's the name of the train station at Krakow airport? Please provide (express, if possible) BUS schedule Krakow > Kosice or Krakow > Presov (Slovakia). Thank you. I need help in locating a mirror that belonged to my grandfather, Joe Harnois/Beauharnais. The person who has the mirror does not know that there are important papers inside the frame of the mirror and LOCATING THESE PAPERS IS AN EMERGENCY!!! If you have any bulletin boards, please post this message. THANK YOU. im mohned azzroq frome lipya ilove you krakow "I also need pkp in English... how to get krakow in a shorter time... "